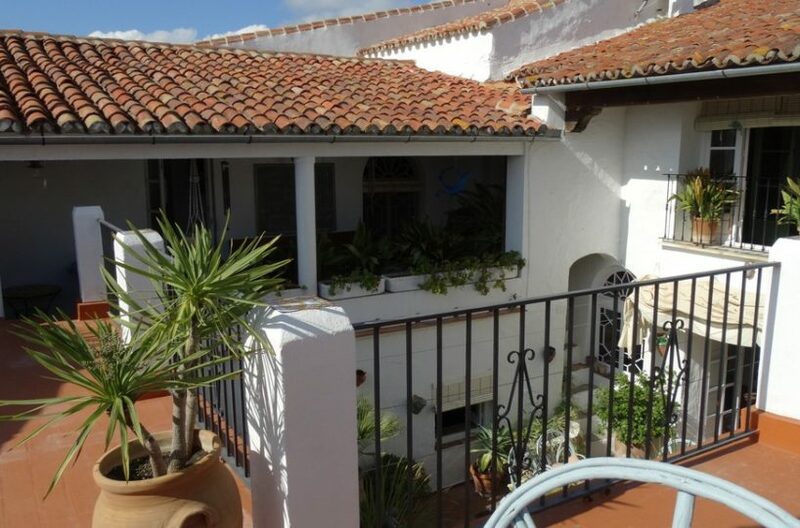 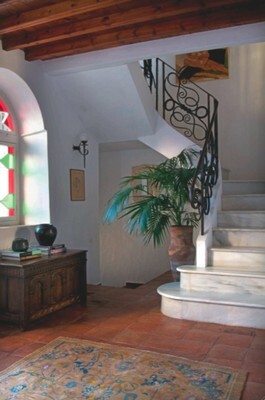 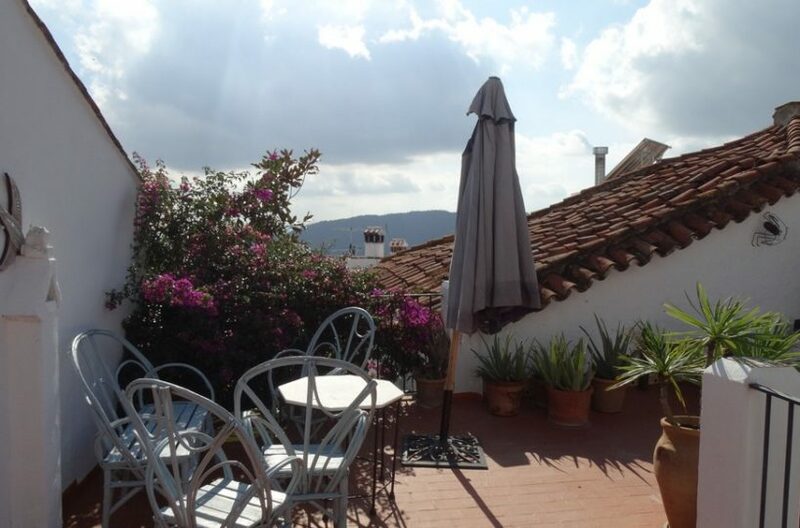 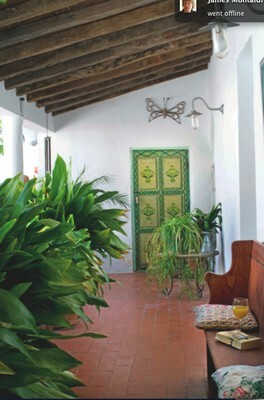 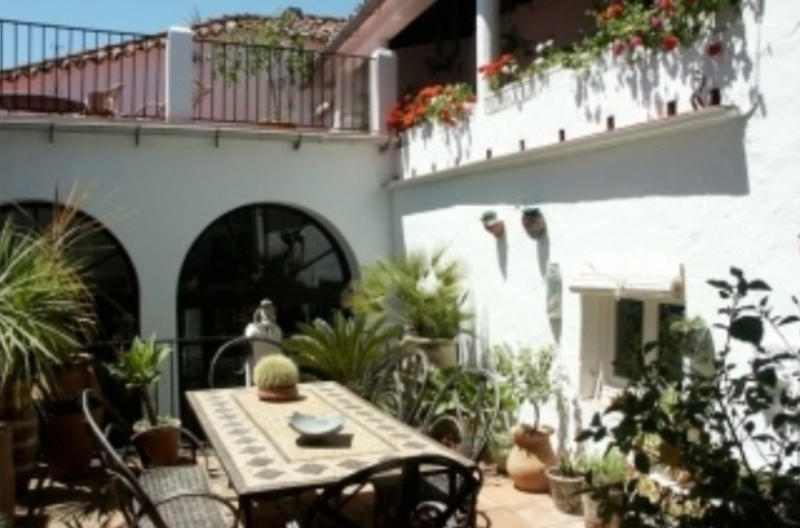 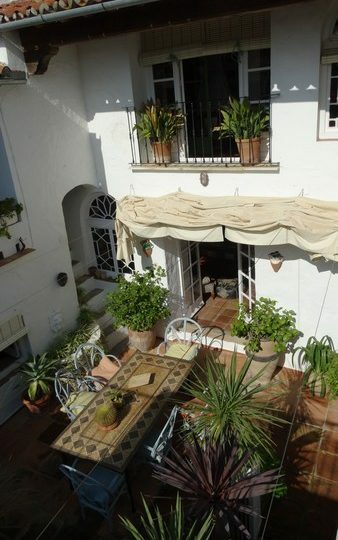 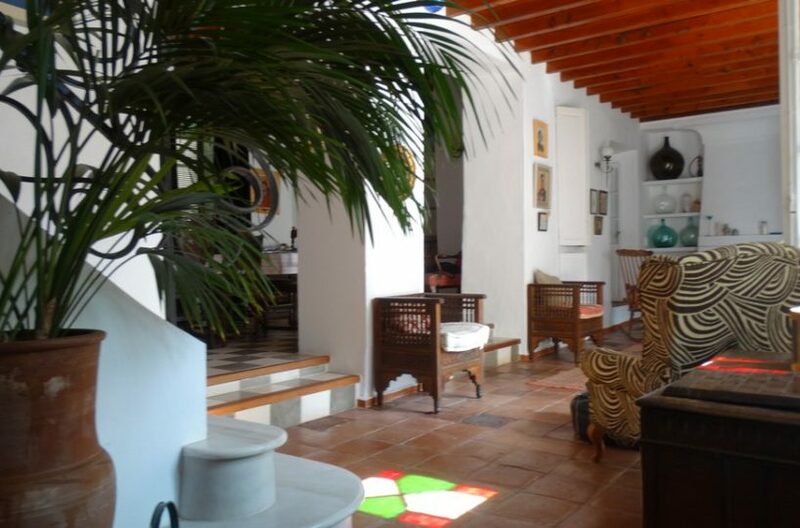 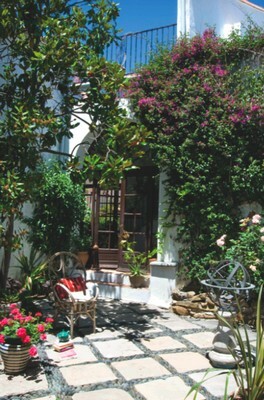 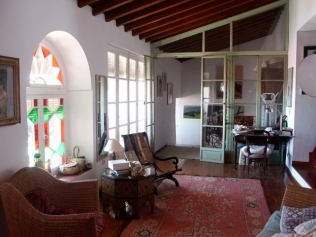 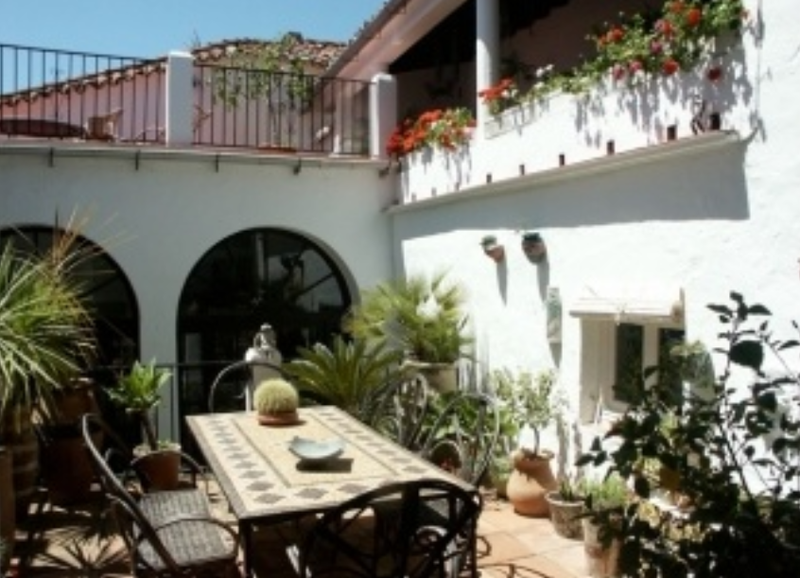 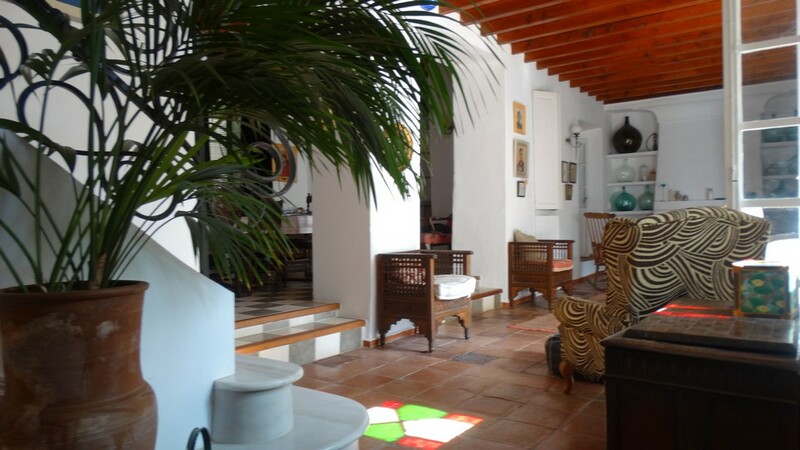 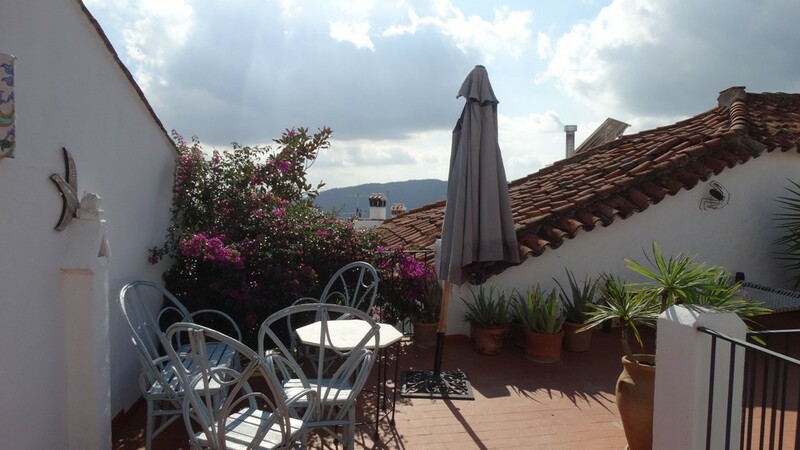 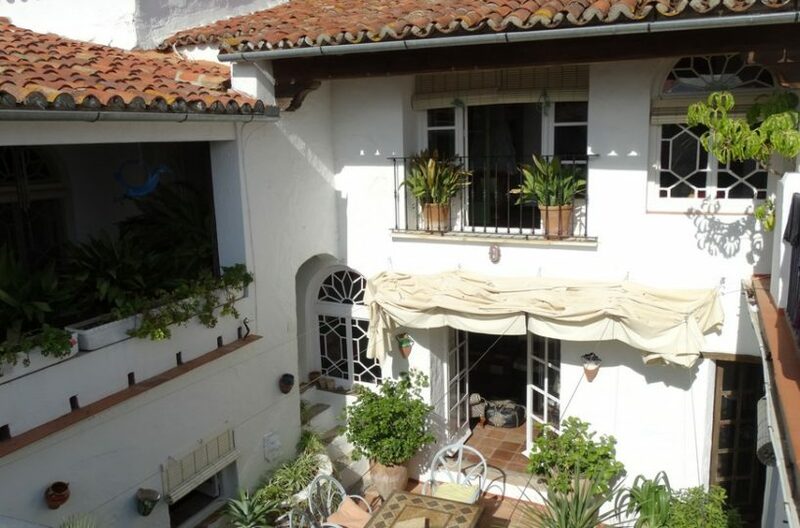 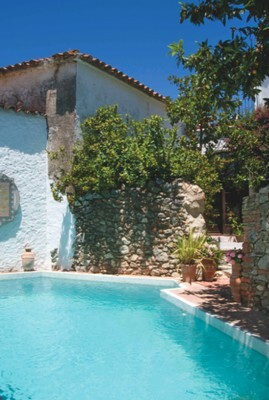 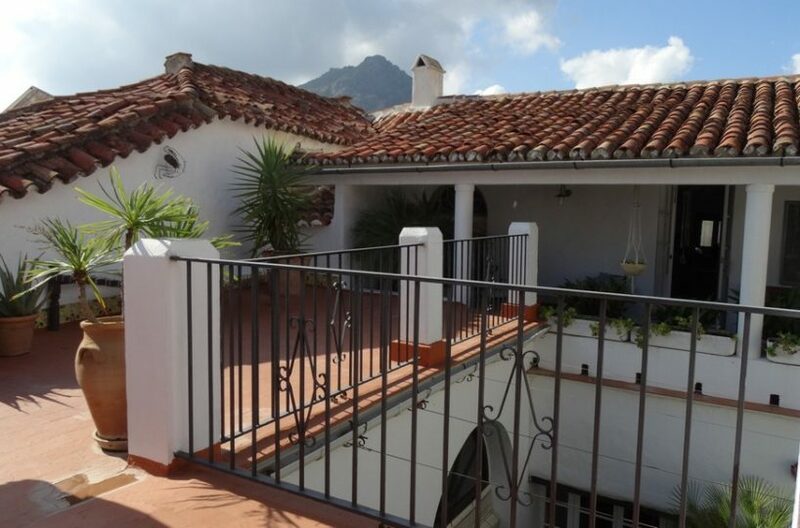 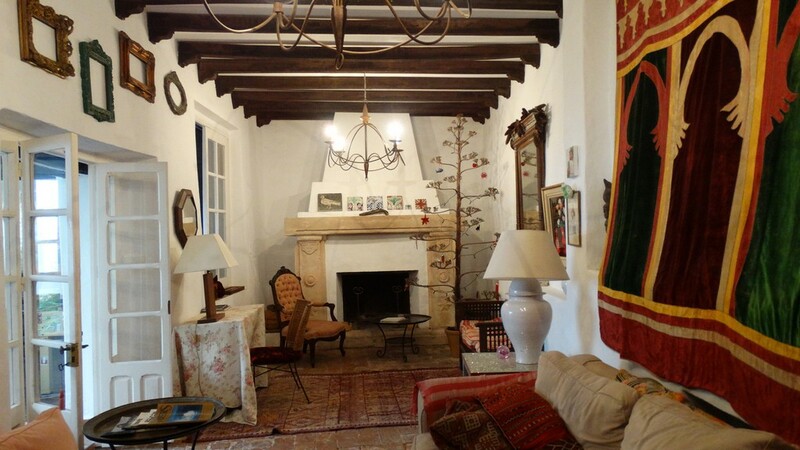 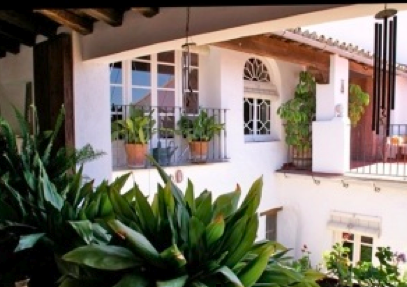 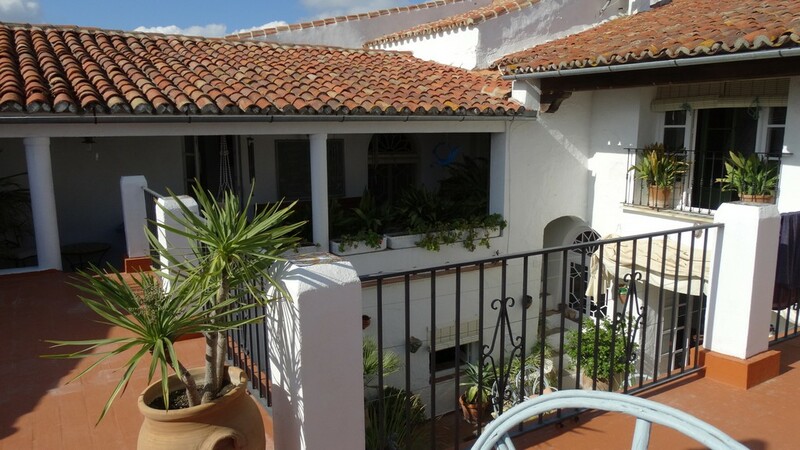 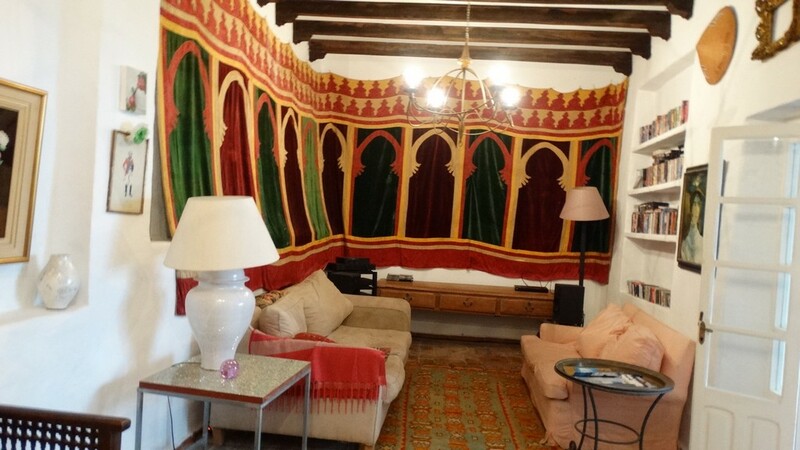 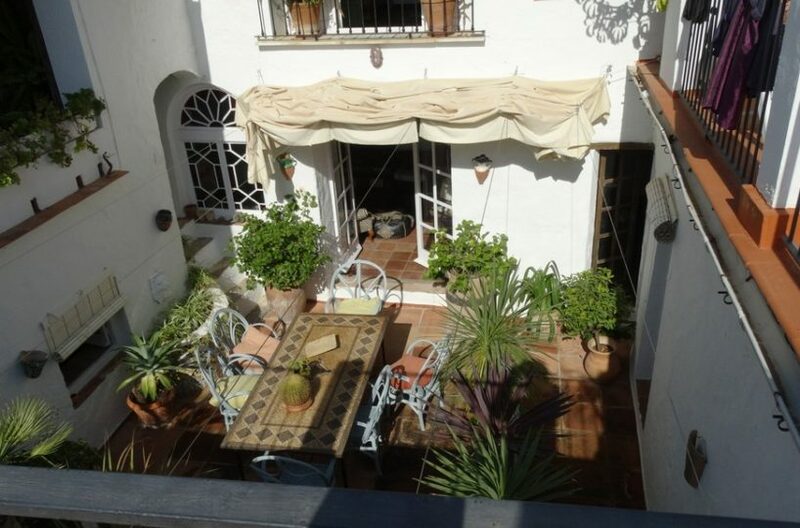 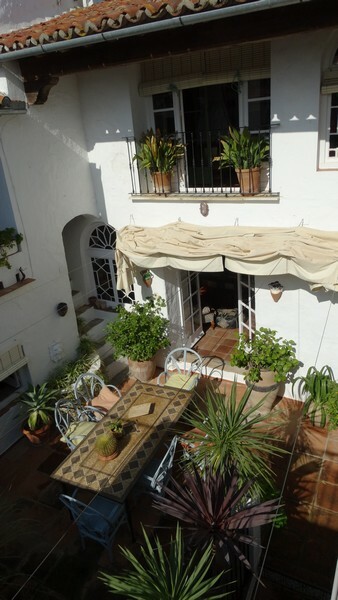 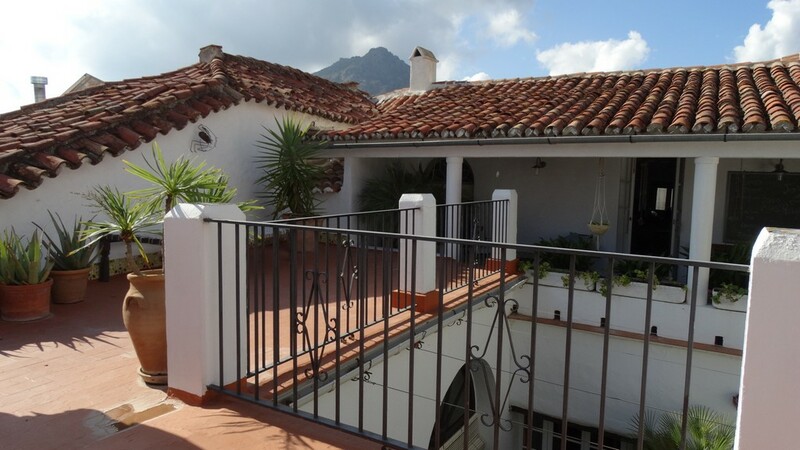 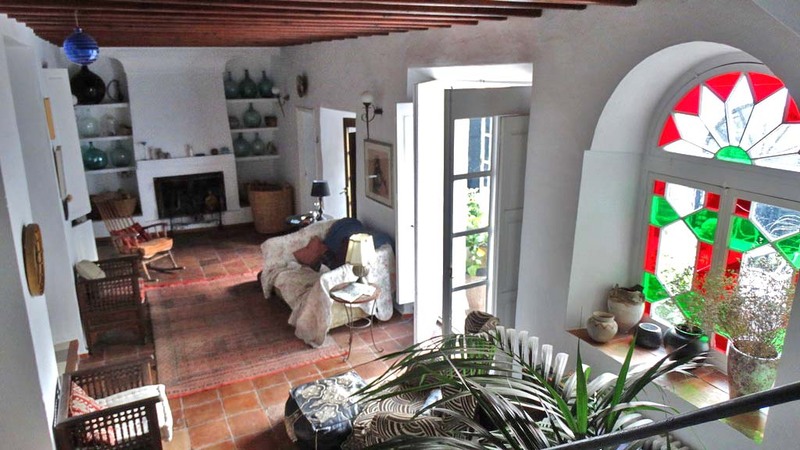 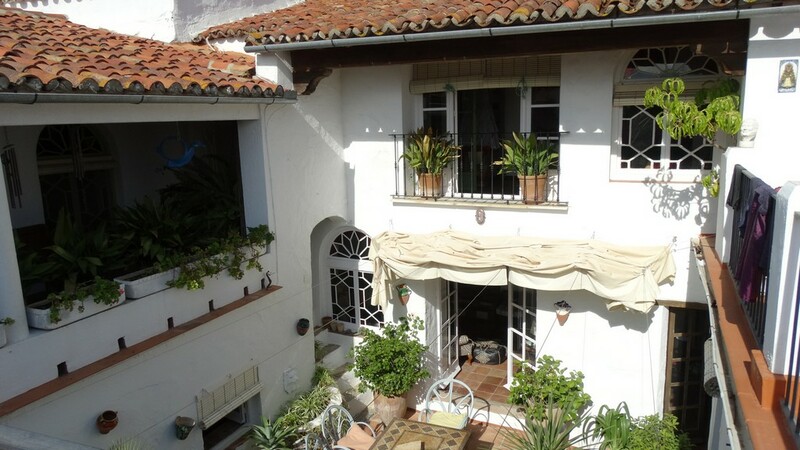 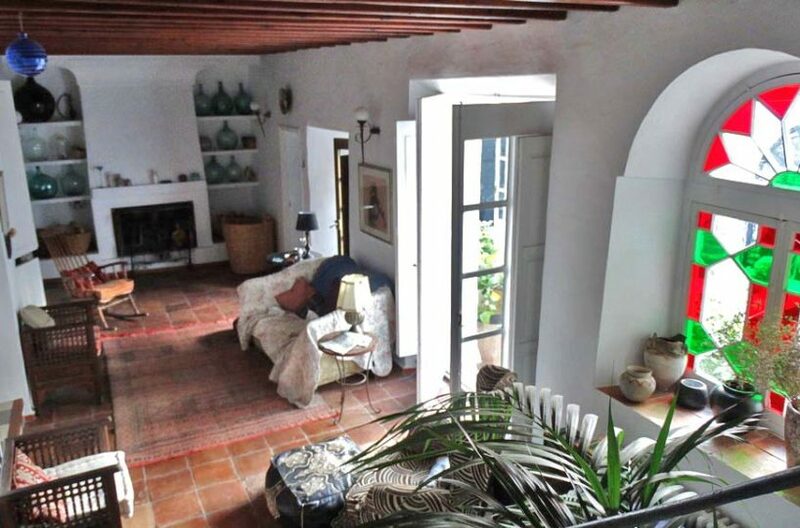 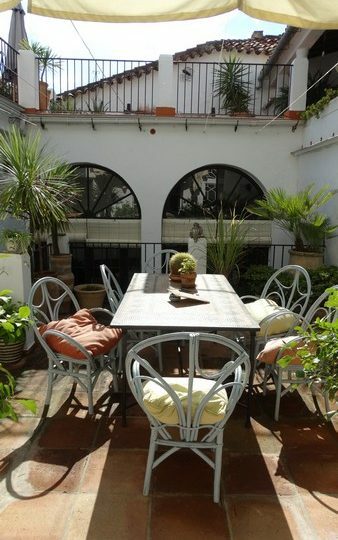 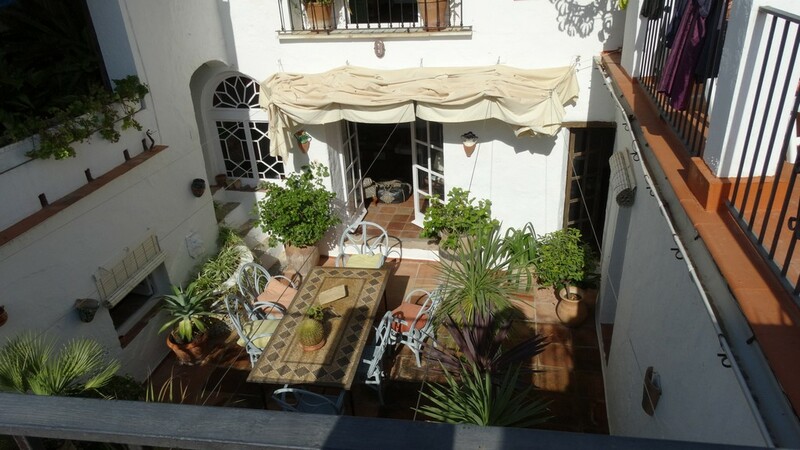 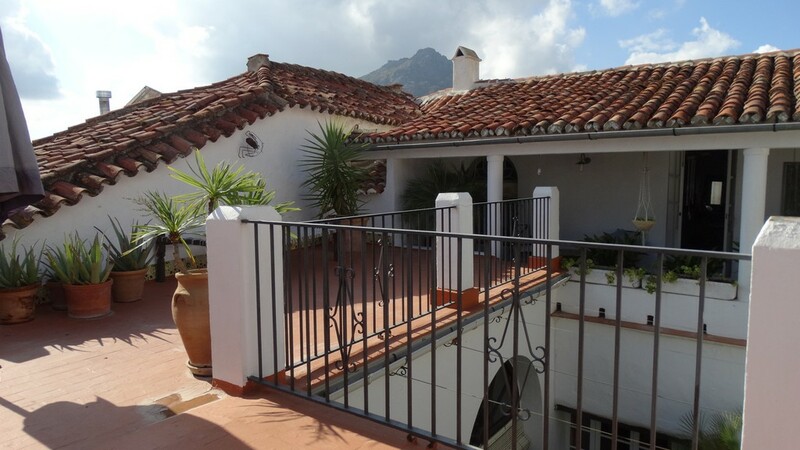 When you think of what a classic Gaucin town house should be like, this is the one. 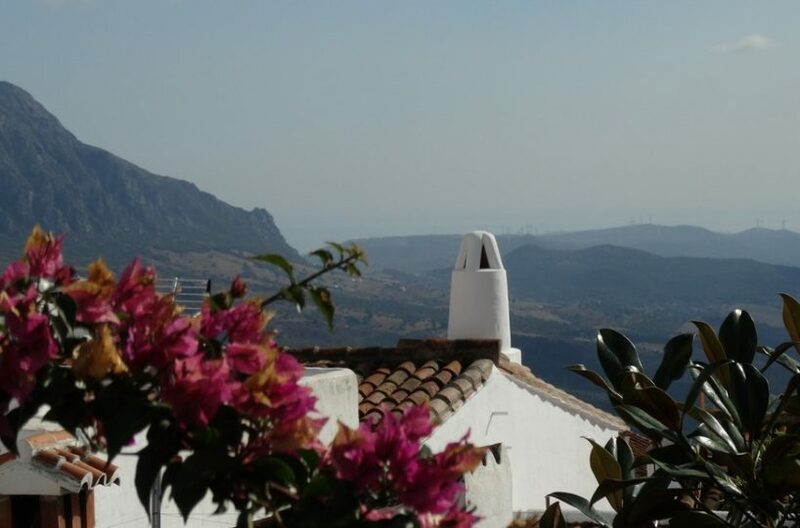 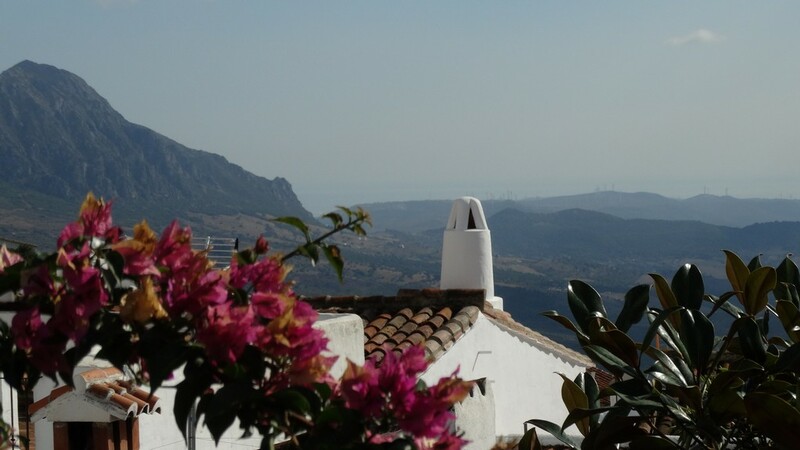 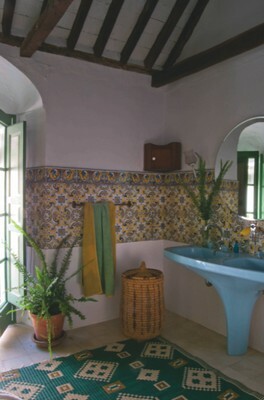 80 cm thick stone walls, large full sized wooden windows, reclaimed cortijo doors, bespoke Moroccan tiles, aged pine floors, a whole olive press, very private outdoor swimming pool,patio/garden an internal riad style patio with a large terrace and walkway surrounding it and with the famous and unbeatable views of the Genal valley to Gibraltar and Africa beyond. 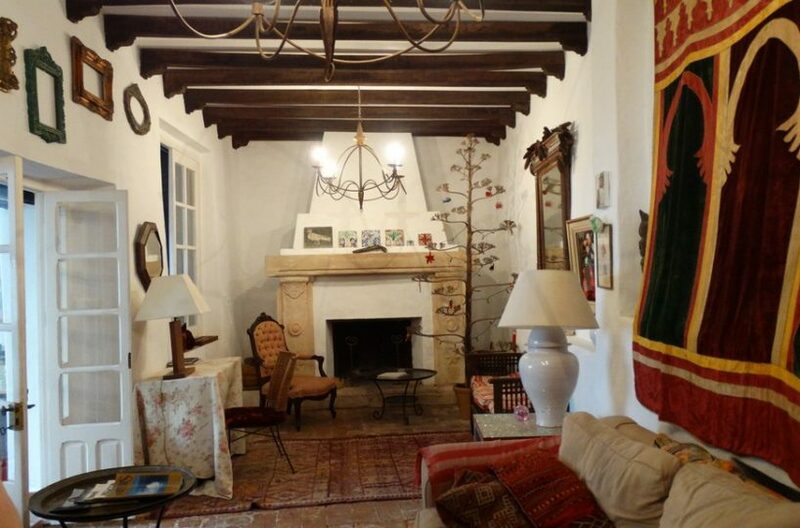 This property epitomizes character, with an easy and comfortable layout and light flooding into every room. 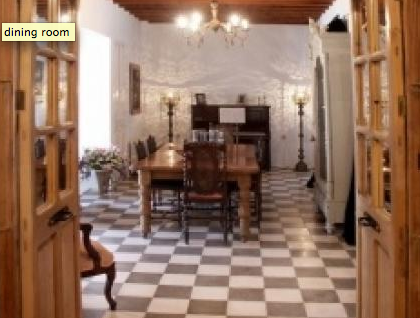 As you enter through the large aged double wooden doors, you come across a huge dinning room that flows through open plan to living room. 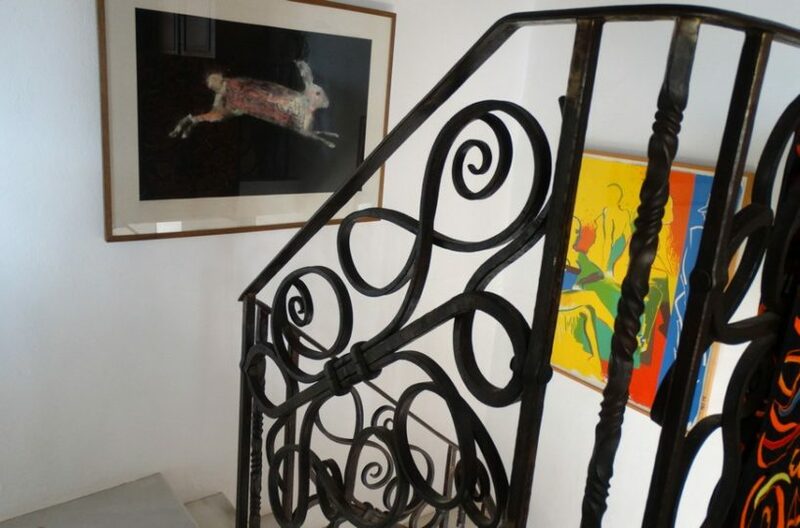 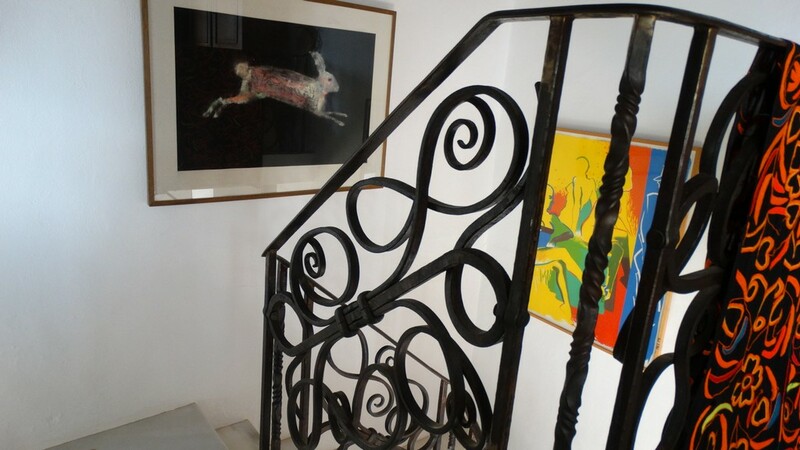 Bespoke iron work on the staircase leads to the floor above. 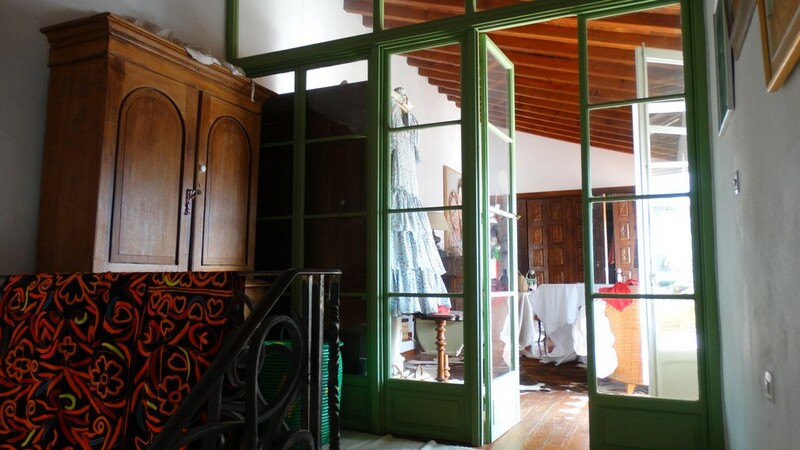 The internal courtyard is surrounded by double french style windows allowing access to the patio from every room on the ground floor. 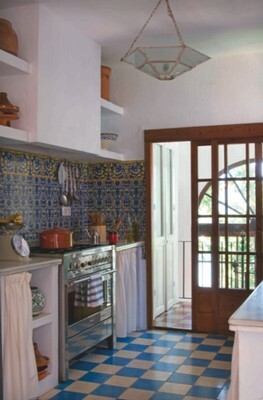 The ample kitchen is tiled with vintage Moroccan tiles. 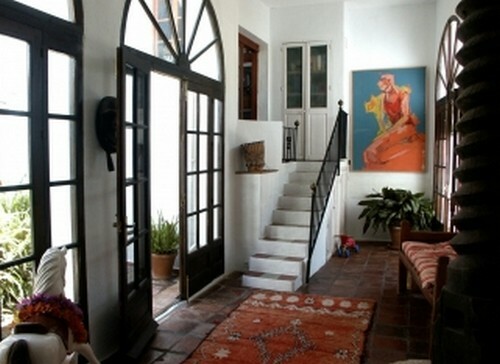 On the right, the hallway leads to a downstairs bathroom and a large games and television room. 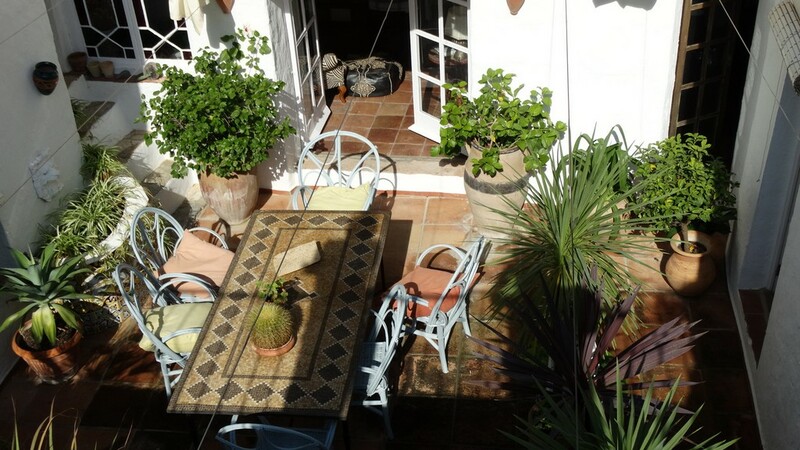 They lead on to a large room that accesses the garden and pool area and contains the old olive press that spans across this open plan area. 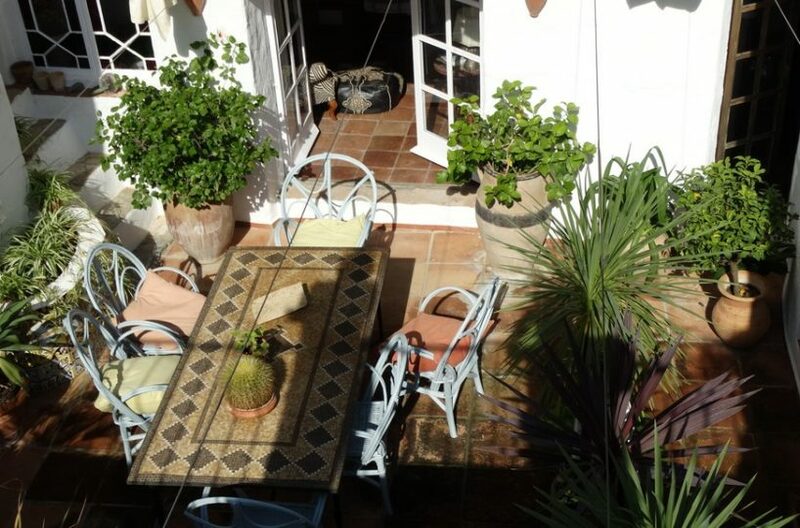 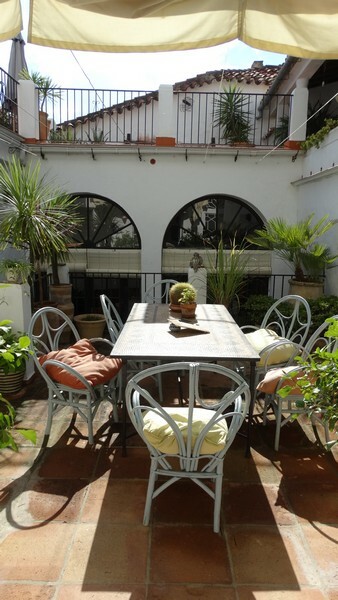 The garden/ patio is totally private and leads out to the stunning swimming pool. 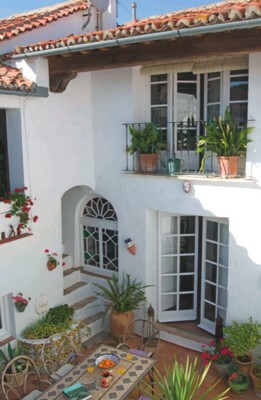 The top floor can be reached from two separate staircases. 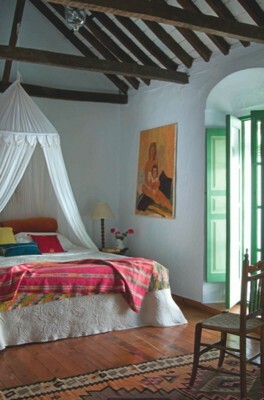 It contains the master bedroom, 50 m2 in size, with en suite of original design. 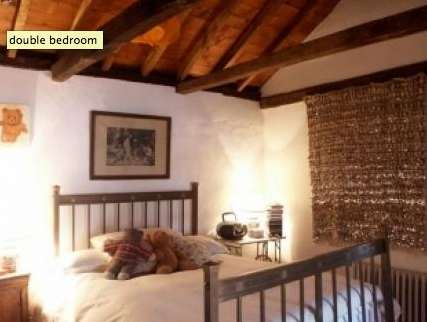 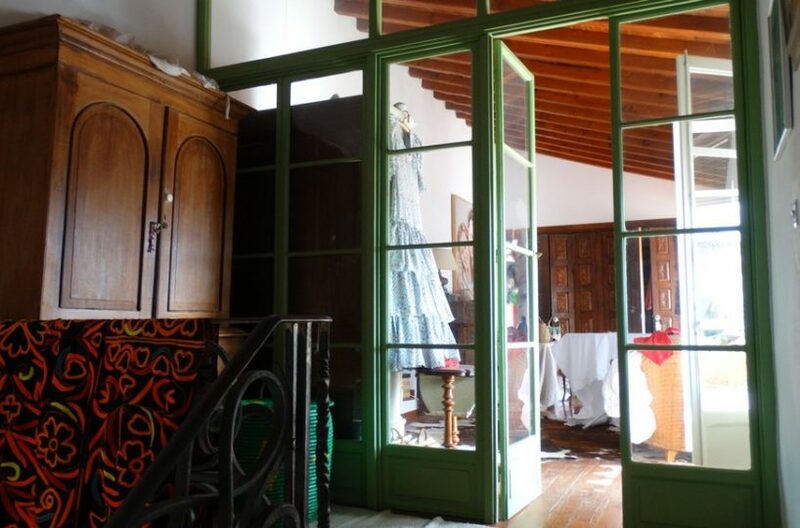 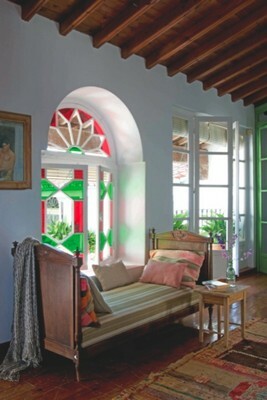 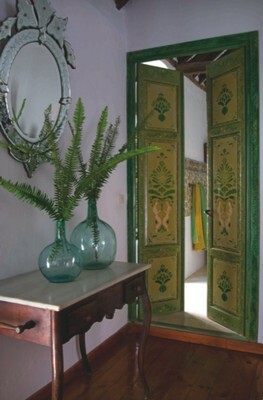 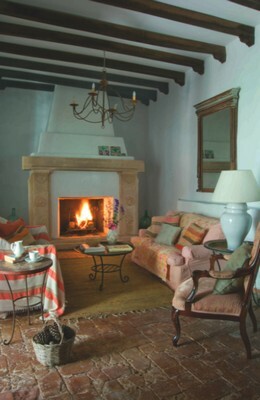 This leads on to another equally large room with aged pine floors, and a wall decorated by a large built in wardrobe with old spanish wooden doors. 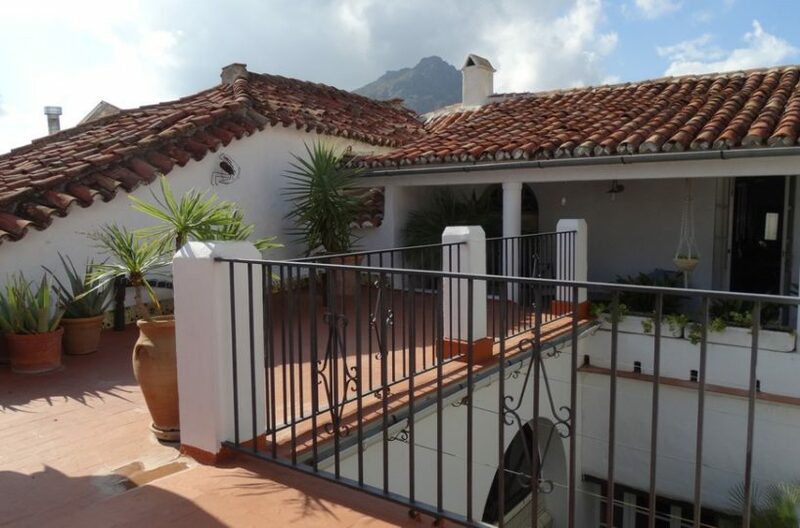 From here you can go directly onto the terrace, or take the corridor over the other side of the patio to the two bedrooms that share a bathroom, and a utility room at the end. 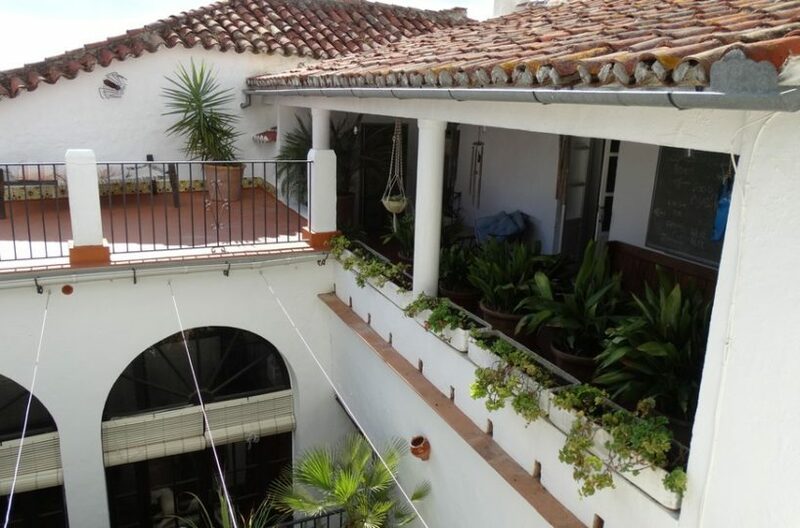 Although the house has three rooms there is room for more with some redistribution so it has lots of commercial potential. 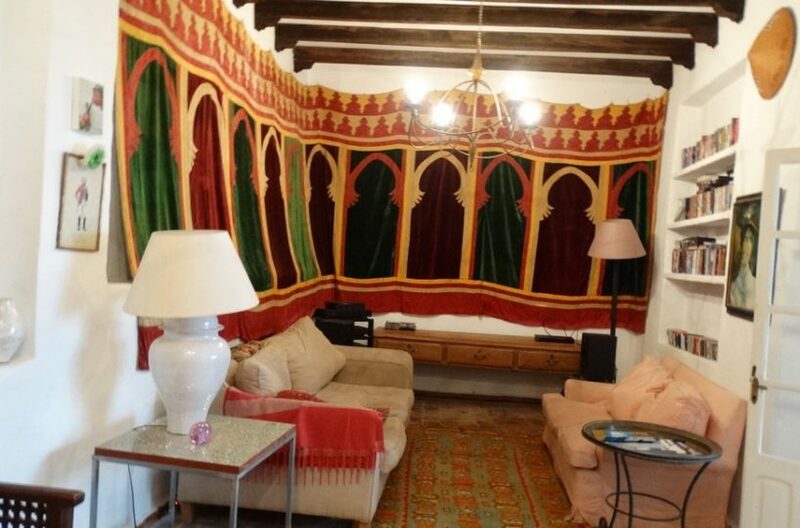 There is also a large ruin next door that could be purchased at a knock down price which you could join on to add at least three large apartment sized suites or more en suite bedrooms. 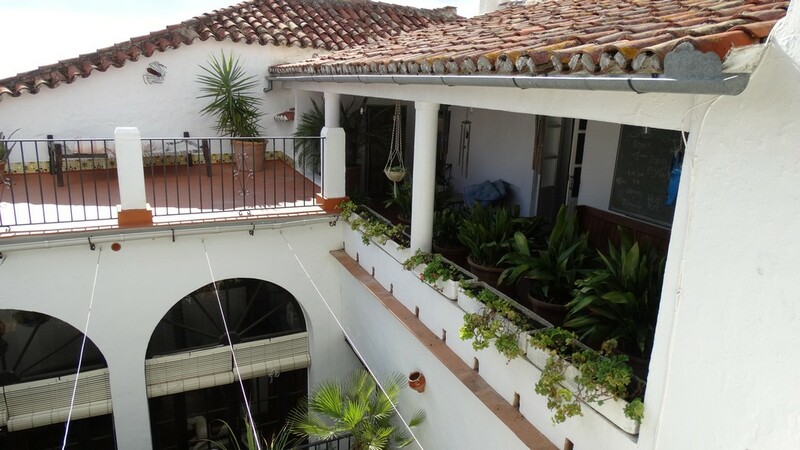 It is also located in one of the largest streets in the village, right in the center of town, with parking close by.